Today (Tuesday 15th July) collective bargaining campaign The Big Deal can announce that the Secretary of State for Energy, Ed Davey, not only joined The Big Deal when it first launched but has now switched his own energy supply to The Big Deal's new market beating energy tariff. Thanks to the bargaining power of its 10,000 members The Big Deal created the best 2 year tariff available anywhere. It's with leading independent supplier Green Star Energy and isn't on price comparison sites. It's the first time a collective switch has created a new market beating tariff. The tariff will protect customers from price rises for 2 years. Energy UK, the trade body for energy companies, has said energy bills will rise by 50% by 2020 - the equivalent of nearly £100 a year. The Big Deal has over 10,000 members and it is reaching people who pay too much and are traditionally let down by the energy market. 63% of its members have never or hardly ever switched before. Over 60% are aged over 55 and 30% are aged over 65. People are saving hundreds of pounds per year by taking The Big Deal's new tariff with one family saving over £700 per year. "Thanks to this Government collective switches across the country have saved people hundreds of pounds. Bargaining together to get better deals is working particularly for those who have been let down for too long. The whole process was simple and anyone who hasn't switched recently should look out for the next collective switch and sign up." "The Big Deal has shown that people power delivers. We're delighted the Energy Secretary has not only helped create this new market beating deal by throwing his weight behind the campaign but actually switched himself. The Big Deal is putting hundreds of pounds back into the pockets of people who have been ripped off for too long." Here are some examples of people who have taken the deal. "This is my first switch. I have a serious medical condition and need extra heat in the very cold months. I had no problem switching and I recommend The Big Deal to anyone who want to ditch the greedy big six companies." "The Big Deal concept of people power is superb. I am retired and pensioners everywhere should not miss this deal. It hit the spot for me, switching was easy and I am delighted with it." "We've both retired early so every penny counts. Being able to save so much while protecting ourselves from price rises was brilliant. We've never switched before so teaming up with 10,000 others gave us piece of mind and meant we knew we were getting a good deal. We'll be spending our saving on our granddaughter." 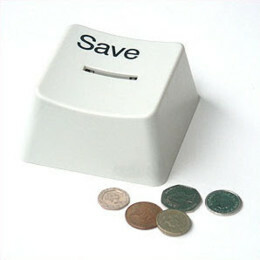 "Switching was was very easy and I'm delighted with the saving." "I'm no longer fearing that I'll be facing extra expensive bills in the coming winters. It's a big worry off my mind."